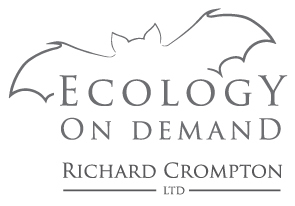 If you would like to hear from the Bat Training Partnership / Sandie Sowler / Richard Crompton Ltd (Ecology on Demand) we need you to 'opt-in' to be compliant with the General Data Protection Regulations. Please select from the options available below. We will aim to send out a few newsletters each year. You can update your details or unsubscribe any time using a link provided on each newsletter. We will not share or sell your data. You can change your mind at any time by clicking the unsubscribe link in the footer of any email you receive from us, or by contacting us at info@EcologyOD.co.uk. We will treat your information with respect. For more information about our privacy practices please visit our website. By clicking below, you agree that we may process your information in accordance with these terms.